You can see wonderful places and enjoy absolute luxury if you choose one of the top travel deals we have for this weekend. Go to Hawaii and stay at the Mauna Lani Hotel and Bungalows from $239 per night, saving up to 40% off the regular rates at this luxury hotel on most dates between August 21 and December 23 2016. For even more ideas, check a 5 nights luxury all-inclusive getaway to Jamaica from $829 per person, a weeklong trip to Peru visiting Machu Picchu from $3,060 or The Bohemian Hotel Savannah Riverfront for $159 a night. Pick your favorite quickly, it might sell out by tomorrow! The 4.5 star Mauna Lani Hotel and Bungalows is located on the beachfront of Waimea. Resort view rooms at this luxury hotel start from $239 but you can upgrade from $80 to ocean view rooms as well. 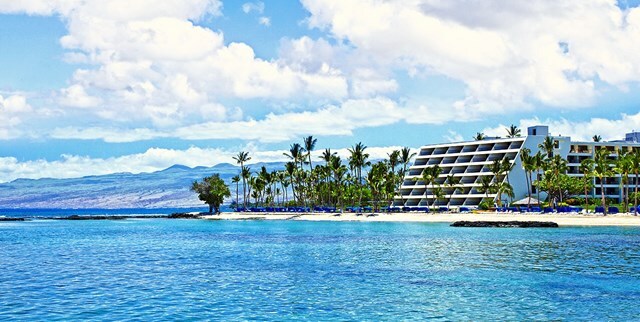 Mauna Lani is among the top 25 Hawaii hotels according to Conde Nast Traveler and offers cultural classes from hula dancing to coconut husking, has got no less than two golf courses, a luxurious spa and even an actual turtle sanctuary. Apart from hanging out at the beach, you can play tennis, soak in the jacuzzi, have a tasty meal at the restaurant or choose from many other activities. But if you are not sure this is the best hotel deal for your Hawaii getaway, choose a couple of merchants and compare their prices for other deals in the area. This entry was posted on Saturday, July 23rd, 2016 at 4:54 am and is filed under Hotel Deals, Top Deals. You can follow any responses to this entry through the RSS 2.0 feed. You can leave a response, or trackback from your own site.